When it's time to get your vehicle serviced, make an appointment with our service center immediately. 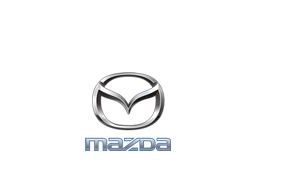 Our service technicians specialize in Mazda vehicles and are able to spot and fix issues and wear that other service centers may not be able to. We also regularly address a variety of both common and custom issues at affordable prices, and work hard to make the servicing process as efficient as possible from start to finish. If you have noticed any issues with your vehicle, be sure to have them checked out at our service center as soon as possible so you don't risk unsafe driving, accident, or further damage. The easiest and most efficient way to book an appointment is by using our online scheduling form. Either sign in as a returning user and we will pull up your historical information, register as a new user, or choose the "I'm in a Hurry" option to simply snag the next appointment. If you'd prefer to speak with one of our service experts over the phone to explain an issue or to book that way, call our service center directly at (888) 814-5672. For more information on any service or if you require any assistance completing the online scheduling form, please call our main phone number (844) 846-6463 and one of our dealership employees would be happy to help.